One mission is to capture the entire Napa Valley in a bottle by taking fruit from each of Napa Valley's AVAs—representing a myriad of microclimates, soils and exposures—and turning them into a luscious and balanced Meritage. For Premiere Napa Valley, we took a different route to create this one-of-a-kind Meritage. Instead of blending fruit from all all 15 AVAs, we focused instead on the four varietals we use in our Meritage: Cabernet Sauvignon, Petit Verdot, Merlot and Cab Franc. We selected our very favorite lots of each varietal from all of our sources, then expertly wove them together to still offer the best of the best that Napa Valley has to offer, but from a slightly different viewpoint. 22 months barrel ageing in French Oak. Steve Reynolds feels he was destined to be in the wine business since his youth. The Oklahoma native’s father was in the electrical business and the family moved numerous times during Reynolds’ youth, including a seven year stint in a small town just south of Munich in southern Germany. Reynolds returned to the United States after high school and attended the University of Washington. He next went to the University of the Pacific where he graduated in dentistry in 1986. He eventually wound up in the Lodi-Stockton area where he practiced dentistry and where he was first introduced to his future wife, Suzie. In 1993, the couple became engaged. A fifteen-minute conversation between the pair on a return trip from Napa persuaded Reynolds to sell his Central Valley practice and move to Napa. The Reynolds’ jump into the wine business began for real in 1995 when an old chicken farm on the Silverado Trail, south of the prestigious Stag’s Leap District, became available. Vineyards were planted and, in 1999, the first wines were made from a small portion of some very specific vines that had dropped fruit a few months earlier. 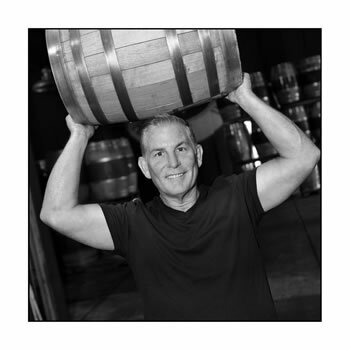 The finished wines were well-received by friends and acquaintances and Reynolds decided it was time to get into the wine business on a larger scale. The Reynolds Family Winery’s first release of around 2,000 cases came at the start of the new millennium amid a rash of personal problems for Reynolds. With a six month old baby and its needs to deal with, Reynolds lost his inspirational father (and winery investor) and was then forced to give up his dental practice when the running of the new winery operation proved too time consuming. Basically self taught as a winemaker, Steve Reynolds took courses at UC Davis for two years to perfect his art. He credits South African winemaker Anthony Bell for seeing him through the hardest time in his winery’s evolution. The rest is practically a chapter from a romantic novel. The first Reynolds Family wines were incredibly well received, as were the succeeding releases. Today, Reynolds Family Winery has grown to around 8,000 cases. Reynolds has also been active in two other winery ventures, a fun brand called Naughty as well as an innovative brand called Fourteen that brings together grapes from Napa’s finest growing districts in one amazing bottle. Through it all, Steve and Suzie Reynolds have truly enjoyed the experience and path that has lead them to where they are today. They have three beautiful children, dozens of accolades, medals and achievements for their wines, and most of all, each other. Steve is one of the most honest, giving and sought after wine makers in the Napa Valley; his passion for his craft is shown with each new release. Seeing the bustling tasting room, drinking the juice of his labors and knowing he followed his heart makes all of the rough times worth it. Education: All my degrees are non-wine related. There is no right or wrong, no "pure" or unpure" style, it’s about when one glass invites another. Ripness with balance, simply understated and not over the top; great with food and able to stand alone.